يشكل فندق The Docks on Goodwin Apartments بموقعه الممتاز في قلب كانجرو بوينت نقطة انطلاق ممتازة لاستكشاف بريسبان. يمكن من هنا للضيوف الاستمتاع بسهولة الوصول إلى كل ما تقدمه هذه المدينة النابضة بالحياة. بالنسبة لمن يريد الخروج، هذه بعض المعالم السياحية المتوفرة للزوار ستوري بريدج, ‪Story Bridge‬, رصيف ميناء مارينا. كما يقدم The Docks on Goodwin Apartments الكثير من الخدمات لإغناء رحلتك في بريسبان. يقدم الفندق واي فاي مجاني في جميع الغرف, خدمة حجز التذاكر, تخزين الأمتعة, واي فاي في المناطق العامة, صف السيارات لضمان الراحة القصوى لضيوفه. تعكس غرف الفندق البالغ عددها 27 المنتشرة في 9 طوابق جواً من الدفء والألفة.خدمات عصرية مثل تلفزيون بشاشة مسطحة, اتصال لاسلكي بشبكة الإنترنت (مجاني), غرف لغير المدخنين, مكيف هواء, تدفئة موجودة في بعض الغرف المختارة. يقدم الفندق مجموعة واسعة من وسائل الراحة المتنوعة، كمثل: مركز للياقة البدنية, ساونا, حمام سباحة خارجي, سبا, ملعب تنس. اكتشف مزيجاً ساحراً من الخدمة الاحترافية والخيارات الواسعة من وسائل الراحة والمتعة في The Docks on Goodwin Apartments. يرجى العلم بأن ساعات عمل مكتب الاستقبال هي من الساعة 8:30 حتى الساعة 17 من الاثنين إلى الجمعة، ومن الساعة 9 إلى 12 يوم السبت، ويكون مغلقًا يوم الأحد. النزلاء الذين يصلون بعد ساعات العمل يجب عليهم اتباع إجراءات تسجيل الوصول بعد ساعات العمل المعمول بها في الفندق ويجب عليهم إبلاغ الفندق بموعد وصولهم التقريبي عند الحجز. يتوفر مكان واحد لانتظار السيارات لكل غرفة يجري حجزها، بدون تكاليف إضافية. يتم توفير ماكينة القهوة مع أربع كبسولات مجانية. يمكن شراء كبسولة (كبسولات) إضافية من مكتب الاستقبال. يوفر العقار ماكينة لصنع القهوة مع كبسولتي قهوة مجانًا للنزلاء المقيمين في Studio Apartment و1 Bedroom و1 Bedroom Executive. يوفر العقار ماكينة لصنع القهوة مع 4 كبسولات قهوة مجانًا للنزلاء المقيمين في 2 Bedroom Apartment. يمكن شراء أي كبسولات قهوة إضافية من مكتب الاستقبال. مكتب الاستقبال مغلق في العطلات الرسمية. Over priced. Worst mattress I ever slept on. Extra toilet paper was an extra $1 per roll! After scrolling through numerous hotels and using the filters to find the perfect place with a pool and spa we felt massively ripped off when we arrived to find the pool a construction site and the spa closed. Completely ruined our holiday and when we complained at reception all they said was "thanks for the feedback". Hotels should be honest and list when their facilities are under maintenance. Very dissapointed. Perfect location and apartment has everything you need including cot when travelling with young children. Only con, the mattress was too soft and you feel the springs. We woke up each morning with back pain. So it's somewhat ok for 2-3 nights but not when staying longer. Not in CBD Booked a room at what you think is a hotel and its an apartment, which is ok I kind of like that. The problem arises is if you’re here a week you get one shampoo and on one roll of toilet paper. Wouldn’t be shocked at this point if I get a water and electric bill also. If you need more your charged. Then they make you sign a document if you damage anything your responsible ok but then they add if they damage your stuff that’s to bad. I guess life isn’t fair. Be aware reception closes early so if you arrive late you will get no assistance finding where to go. They have two building and no sign to say where your at. If the firemen wouldn’t have been here I would have been sleeping on the street. The room is large but the bedroom is very small and the bed is lumpy. The shower has good pressure but lacks hot water the best you get is slightly warm. It is so small you cannot bend over to pickup the soap. This place was a great location. We landed quite early and were able to check in, which was great travelling with a baby. They even had a cot available for use. It was close to the free clipper and were parks close by. full kitchen facilities were great, as well as a large bath. Great Stay!!!! I really enjoyed my stay here. 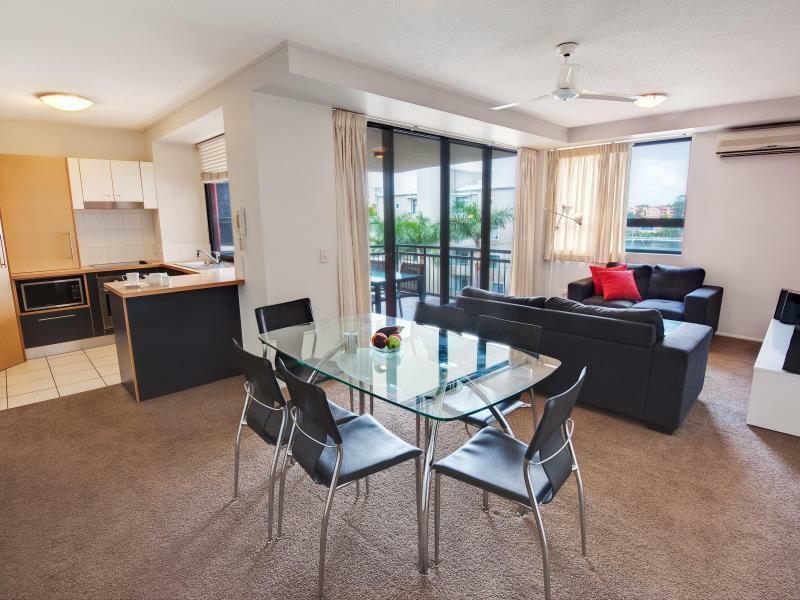 Great area with lots of food options available and great apartment. 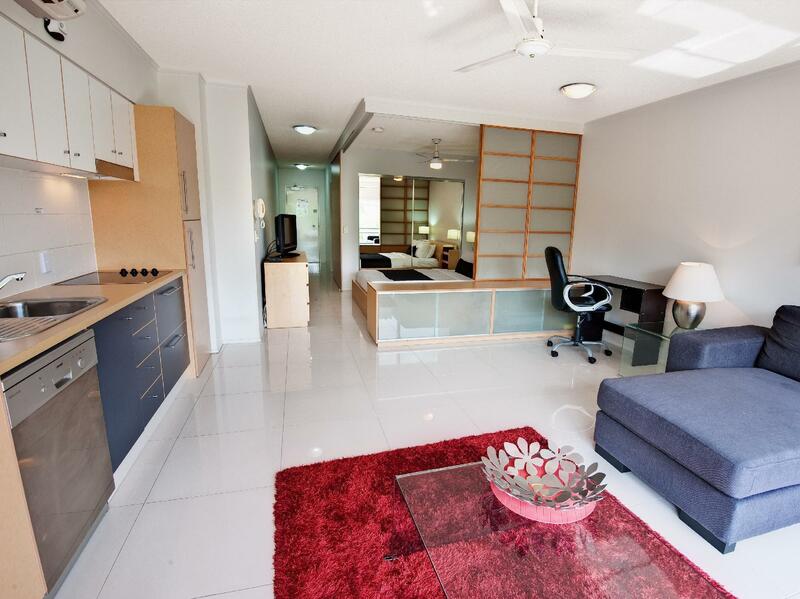 My one bedroom apartment was modern, spacious, comfortable and clean. As I was here for a conference, I didn’t get to explore the grounds, but I’d definitely stay here again. Great views of the river and story bridge. Good Afternoon Janet, Thank you for taking the time to review us online. We are glad to hear you enjoyed your stay with us. It was a pleasure having you and we hope to see you again soon! Hi Hilary Thank you for taking the time to review us online. We are glad to hear you enjoyed your stay and took advantage of the fantastic (and free!) local ferry & Summer House restaurant. It was a pleasure having you stay and we hope to see you again soon! We stayed as a family with kids for a week with 2 apartments rented. It was a great location with good facilities to meet all family needs. 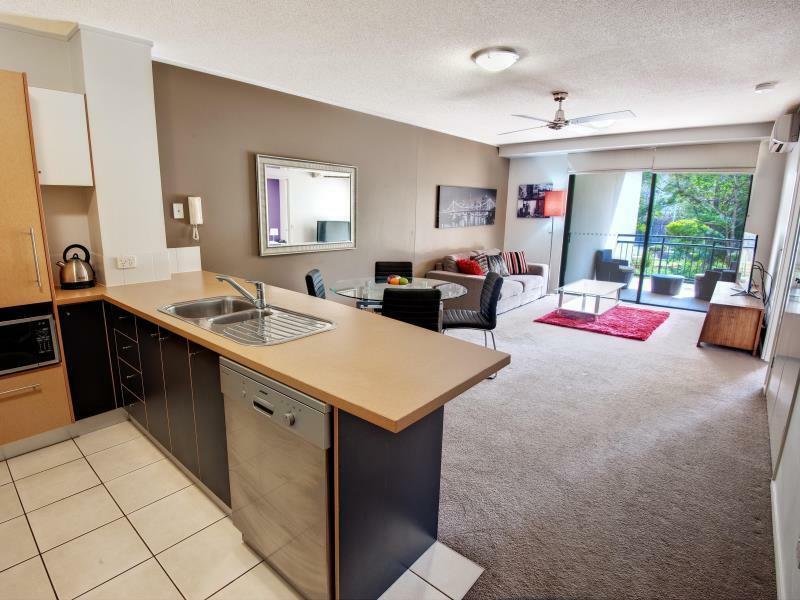 Top of our list for a good value hotel stay in Brisbane. Well located hotel, just beside the river and close to river transport to the city area. Facilities were perfect for family with children with pool, gym, TV room and tennis courts. Apartment rooms were confortable and well appointed. Nice restobar just downstairs with well priced eating options and live music on weekends. Clean, affordable, with all the comforts of home. 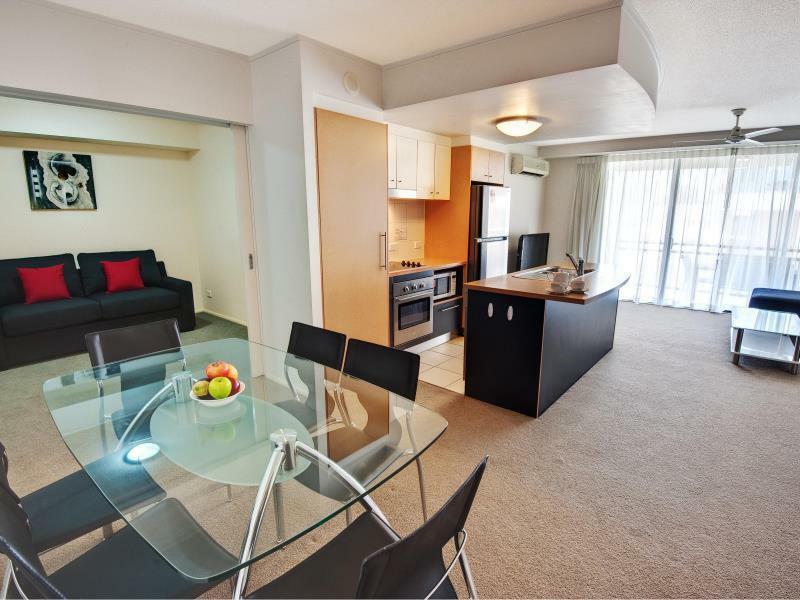 We had a one bedroom apartment which was spacious, well-equipped and comfortable. The pool is big, there is plenty of space around it, and it gets the sun most of the day (till about 5p.m.). In fact, sun shades would be a welcome addition. The facilities are excellent: barbecues, restaurant, gym, sauna and tennis court. Three ferry terminals are very close by and the free City Hopper is absolutely excellent. The proximity to the Storey Bridge Hotel is definitely an added bonus; it's always lively and has good food. We would certainly stay here again. We had a great stay but this isn't a hotel though. 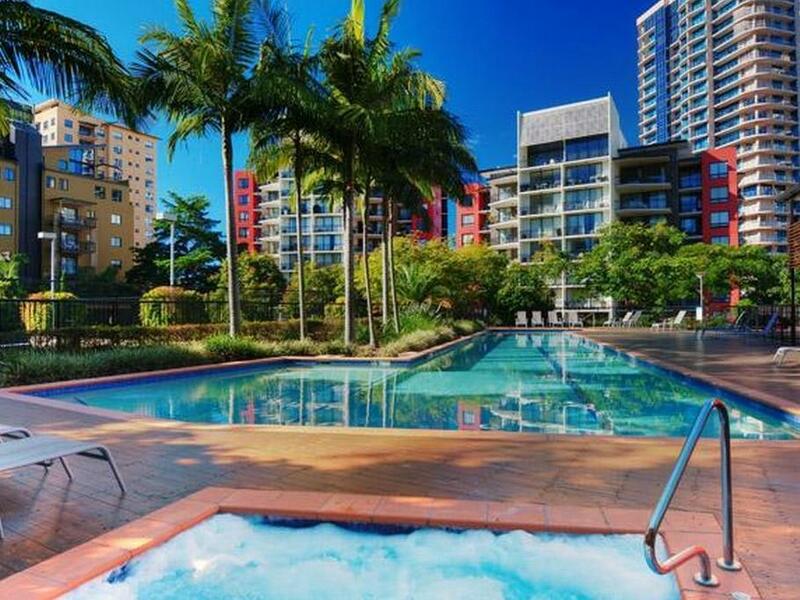 The docks on goodwin is a apartment building for a short term stay in Brisbane. People actually live there for a couple of months. Friendly staff, Free ferry to the city, lots of car park (covered) space. Good. Quiet and peaceful location and well located near ferry point which brings you into the city and entertainment/restaurant areas. Good. The ferry service to the city and entertainment area is fantastic. Ferries leave every 25 minutes. Hotel is very near to restaurant & shopping are and yet quiet and peaceful surroundings.